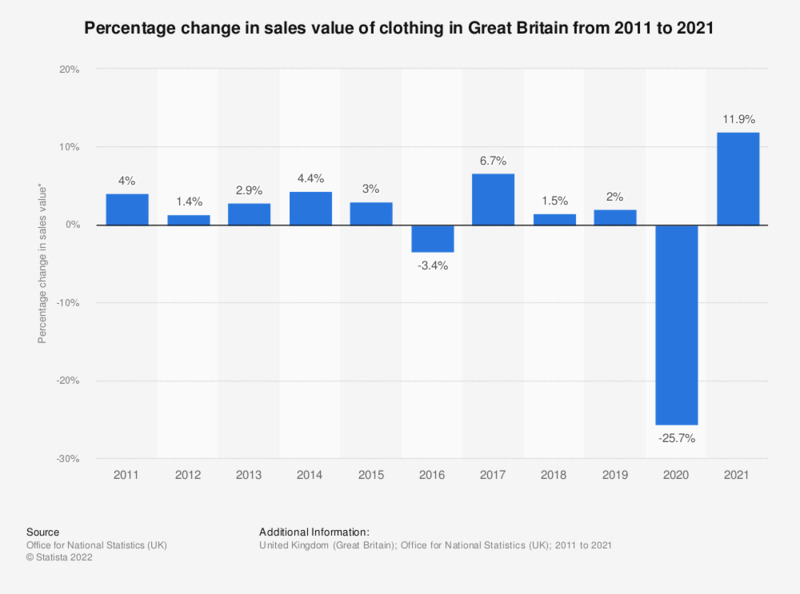 This statistic shows the percentage change in the amount spent on clothing (sales value) in Great Britain, from 2008 to 2017. In 2017, the value of sales increased by 6.8 percent on a year earlier. * Percentage change compared to a year earlier. Value of retail sales are at current prices, seasonally adjusted, for goods bought in textile, clothing and footwear stores. Do you buy clothes during sales/discount programs? Do you buy clothes in pop-up stores?